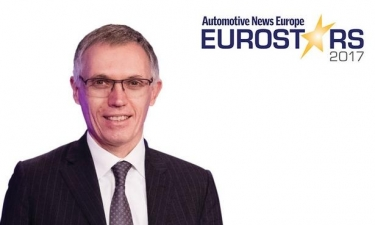 CAREER HIGHLIGHTS: Tavares became PSA Group CEO in 2014, arriving shortly after the automaker was rescued from a financial crisis by China's Dongfeng Motor and the French government. Prior to that, he spent 32 years at Renault and Nissan, rising to become Renault's chief operating officer. Tavares' first ambition was to be a racecar driver but instead he joined Renault as a test engineer. REASON FOR WINNING: After PSA was bailed out in 2014, Tavares restored the automaker to profitability. This year, he made a bold move by acquiring General Motors' money-losing Opel/Vauxhall operations. Skeptics see more risks than rewards in the deal, but Tavares says he will apply the same efficiency changes to Opel that he carried out at PSA. In the first half, PSA's 7.3 percent operating margin was the highest of all European volume automakers.